I bet I’m not the only one who strongly believe that I have the largest and most noticeable pores in the world. When i was a teenager I spent hours looking at my “craters” on the face in the magnifying mirror. Familiar situation? OK. first of all, ditch the magnifying monster. Nobody looks at your face with THAT close. Second of all, grab a great mask to exfoliate your skin and unclog your pores. Here is the list of my personal favorites, and believe me I went through tons of these masks (you name any mask and I most likely tried it). 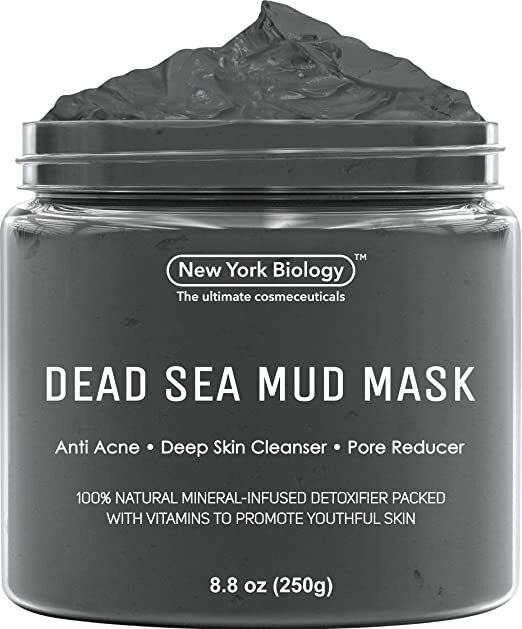 Great Mineral Dead Sea Mud-based mask for combination to oily skin—including skin that’s also sensitive.The formula also contains clay (kaolin) along with other absorbent ingredients and skin-conditioning agents that allow it to do its job of absorbing excess oil without leaving skin feeling tight or dry—and it rinses quite well, too. 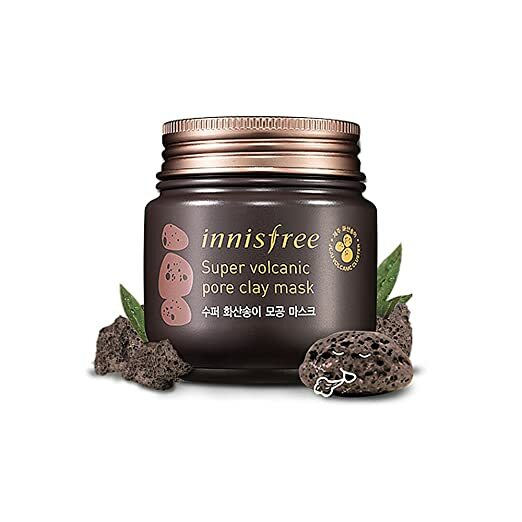 It’s a very absorbent pore treatment clay mask bursting with 6,020mg of Jeju Volcanic Clay. What does it? 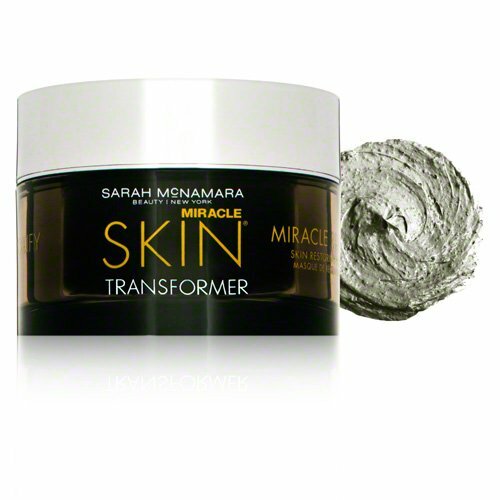 It removes sebum, exfoliates dead skin cells, tightens pores and enhances skin tone. 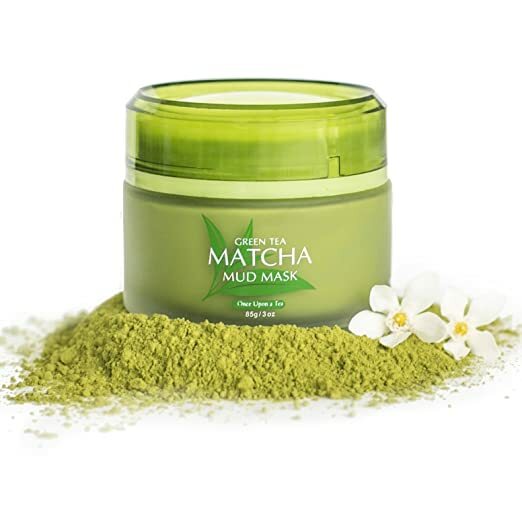 It’s an exfoliating mask which improves skin’s texture, reduces the appearance of pores and radiance while minimizing the appearance of fine lines and wrinkles. It contains 25% of glycolic acid and 2% of salicylic acid (which unclogs pores). It works wonderfully but the only drawback is that the potency of AHA can be sensitizing for some people. I never had any irritation from it and my skin just LOVES it. 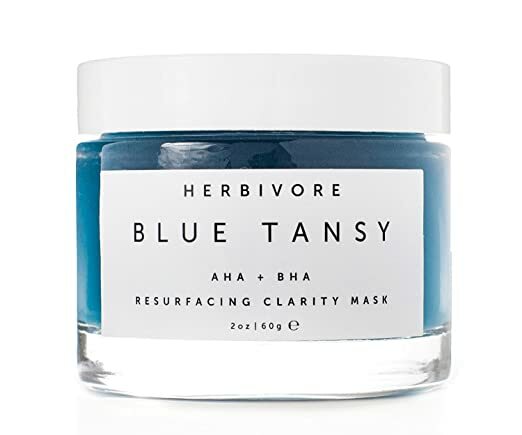 Ok, it’s not technically a mask but it works as an exfoliating mask as you only apply it for 10 minutes and then rinse it off, so I use it as exfoliating mask (like Drunk Elephant T.L.C. Sukari Babyfacial ). It works amazing for evening out your skin tone and de-gunking pores! 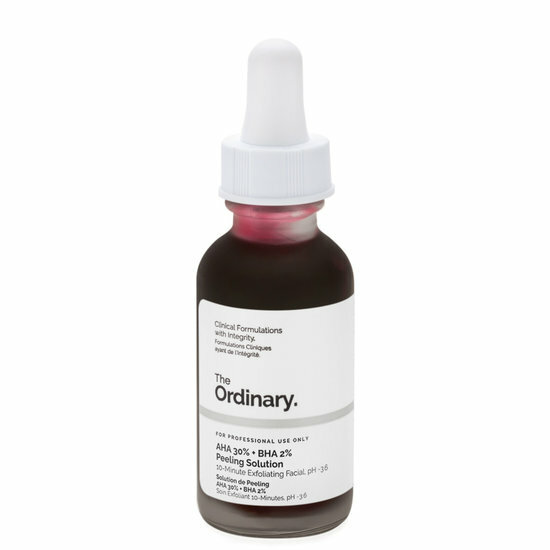 But that is not for acid skincare newbies as it’s very potent and it might sensitize your skin. I assume it is the most popular mask on Amazon (almost 14k reviews, impressive, huh?). What exactly is it? 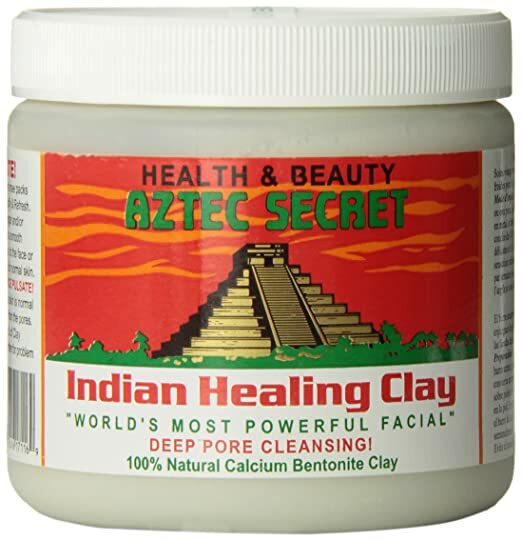 It’s 100% natural calcium bentonite clay which absorbs excessive sebum and cleanse pores. The only drawback for me is that it’s a powder and you have to mix it up with water or other liquids every time you want to use it. It’s another good exfoliating mask that contains White Willow Bark which is a natural beta hydroxy acid (BHA) or salicylic acid which gently unclogs pores. There are also Fruit Enzymes which are natural alpha hydroxy acids (AHAs), including papaya and pineapple, work to gently exfoliate and rid skin of dead cells to leave the complexion smoother. On top of it, it contains some anti-inflammatory ingredients. 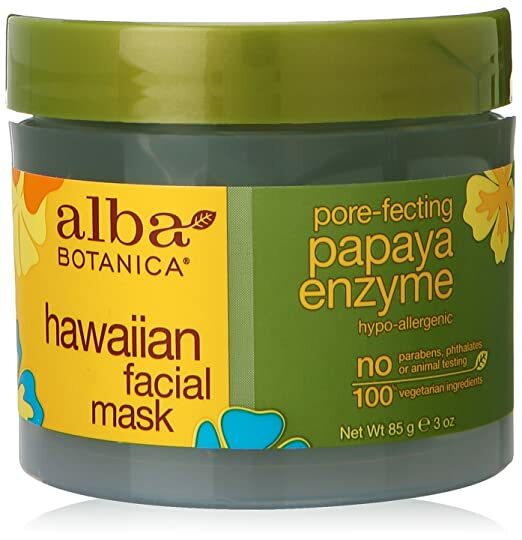 It’s a seaweed- and papaya-based mask. The enzymes gently exfoliate skin leaving it smooth and supple. Its gel texture makes it super easy to use. 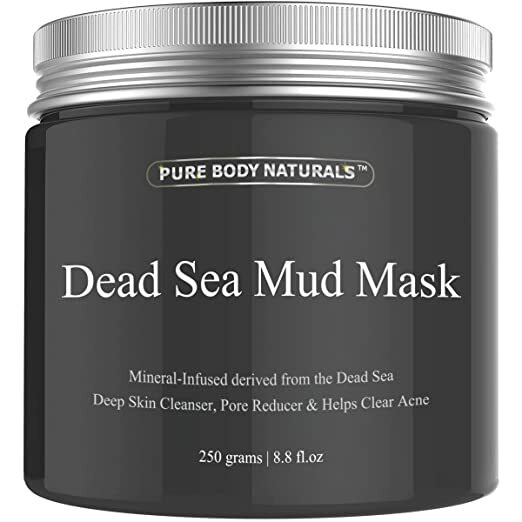 Another Dead Sea Mud Mask with high concentration of salts and minerals which also contains clay, Shea Butter, Aloe Vera Juice, Jojoba Oil and Calendula Oil. It leaves skin feeling clean yet moisturized. Another mud mask bestseller. This time it’s volcanic mud with green tea extract and vitamin C which are super anti-oxidants. It has wonderful texture and smell that give you that luscious SPA treatment feeling. Your skin will feel thoroughly cleansed and hydrated without stripping your skin.